Our new Slim memo bottle is our most elegant water bottle yet. The Slim memo bottle comes in recyclable cardboard packaging with a stainless steal lid. Ideal for hot or cold liquids. Can be personalised with a company logo. Minimum quantity of 100 pieces, approx set up costs approximately £100 for coloured printed logo. Email sales@inkerman.co.uk for further information. Each bottle sold provides one person in need with clean drinking water for one month through their partnership with www.water.org. Measurement: 265mm x 80mm x 30mm Holds 450ml. 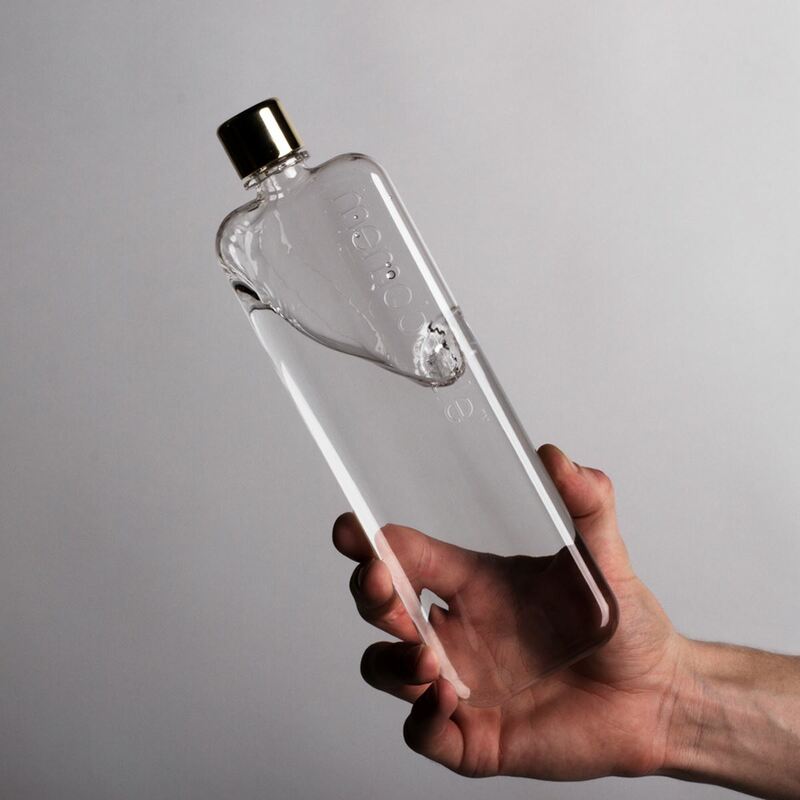 Our new Slim memobottle is our most elegant water bottle yet. The Slim memo bottle comes in recyclable cardboard packaging with a stainless steal lid. Ideal for hot or cold liquids. Can be personalised with a company logo. Minimum quantity of 100 pieces, approx set up costs approximately £100 for coloured printed logo. Email sales@inkerman.co.uk for further information. Each bottle sold provides one person in need with clean drinking water for one month through their partnership with www.water.org.